White sand beach, sound of waves in the background, ice-cold drink in one hand and chill nightlife atmosphere everywhere around. At least once in a lifetime, everyone wants to enjoy the relaxation vacation like a queen or king! After satisfy your thirst for adventure, you may need a relaxation. Massage, it is not only about relaxing the body, but also the mind. And what is the relaxation response? In a massage, a caring, safe touch is an invitation to relax. This, together with pain relief, generally produces a “relaxation response”. The relaxation response is a state in which your heart and breathing rate slow, your blood pressure goes down, your production of stress hormones decreases, and your muscles relax. The relaxation response also seems to increase the available level of serotonin, which is a chemical in the body that positively affects emotions and thoughts. The relaxation response may decrease the physical effects of stress and reduce the risks associated with stress, such as hypertension, cardiac arrhythmias, anxiety, insomnia, persistent fatigue, digestive disorders, and psychological issues. These days, more and more people realize that massage is a perfect way to relax after burning the candle at both ends. 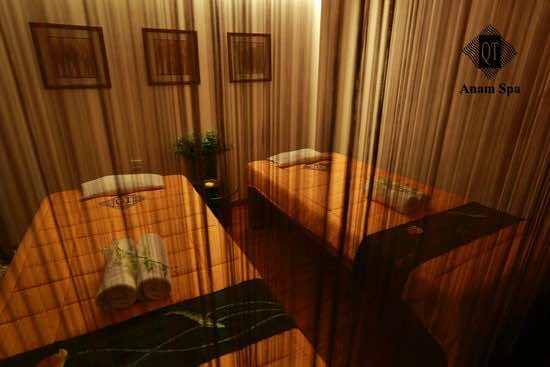 Here are 5 best massage places in Ho Chi Minh City that you can enjoy your massage. Vietnam premier spa, Sen spa provides mind and body relaxation. 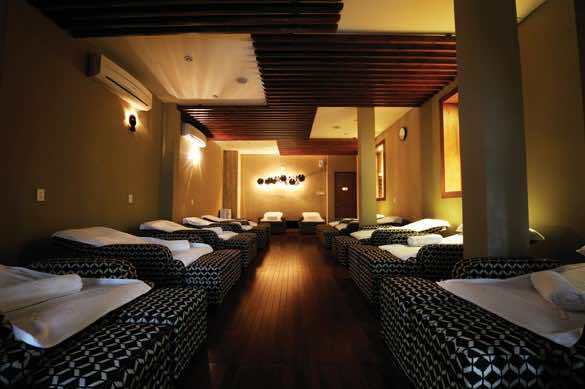 Sen Spa, nestled not far from the bustling Dong Khoi street, thrives on constant breeze from the Saigon River. 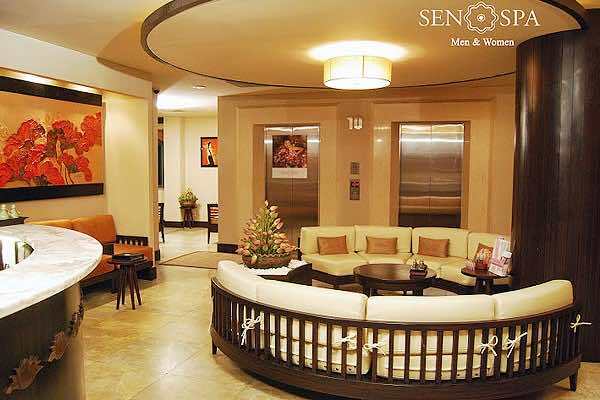 Housed in a nine-floor building, Sen Spa provides special services with areas dedicated exclusively to gentlemen, ladies, VIP rooms and one floor serving beverages. There are many packages that you can choose depending on your purpose and your budget, especially Sen Spa also offer the package “Traveler’s Retreat” for all travelers to relax after a long-day adventure. You can save you budget, Sen Spa offer you some promotion such as using the service on weekdays from 9 to 11am to get 20% discount. Add: 26-28 Dong Du Street, Ben Nghe Ward, District 1. Anam QT Spa is the first international standard spa in Vietnam having the active participation of esthetician, therapists and hair stylists from Australia, Britain, Canada, France. It has a great contribution in the creation, building and development of aesthetic services, beauty hair, skin care treatment with therapy to contributing in developing tourism in Vietnam. At Anam QT Spa, you can try the Shiatsu massage from Japan which focuses on using one’s fingertips only instead of combining the elbow, knee, and clenched fingers during the massage. This treatment is believed to relieve stress, lower back pain, digestive discomfort, headaches and so much more such as help with fertility and reproductive issues. The delicate lightness and every warm welcome and kind gesture by its receptionists and staff which is the first thing that customers can feel when entering Anam QT Spa. A quiet space with gentle fragrant in harmony melodies combined with the massage hands in smoothly gliding and dance will touch every breath of the skin, blood vessels and awaken each of potential energy in the body. Anam QT Spa not only brings the perfection of beauty and health for customers domestically and internationally, but also contributes in sending the image of traditional beauty, charming, friendly culture of Vietnam to tourists’soul. If you make a reservation in advance, you can get 10% discount. Add: 18 Ngo Van Nam, Ben Nghe Ward, District 1, HCMC. Saigon Heritage Spa is one of the most famous spa in Vietnam housing in the heart of the city center, this is an ideal place to take a bit moment of relaxing for your life when you are tired from your trip or exhausted from your routine life. This spa has been always researching the better relaxation for its valuable customers with the skills of traditional massage and spa aroma oil from Vietnam and Thailand. All massage therapists of Saigon Heritage Spa are trained by massage masters through strict tests. If you are the first comer, you can consider the diamond package including 40 minutes of body massage with hot stones, 30 minutes long scrub with THANN salt scrub and a 10-minute shower. The spa also offers a full range of face care treatments for women and men as well as a full range of body treatment with 100% natural products. Add: 69 Hai Ba Trung street, District 1, HCMC. 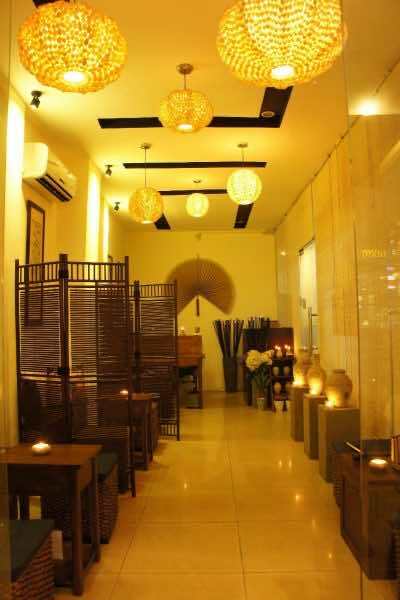 Moc Huong Spa is the natural aroma housing in the heart of Saigon. It is equipped with modern Indochine decoration and supported by top-ranking professional physiotherapists in Vietnam as well as whole-hearted and thoughtful staff. They offer a wide variety of services ranging from body massage (Hawaiian, Thai, Shiatsu, Swedish, Aromatherapy, Four-Hands, Six-Hands, and the special package “Moc Huong Body Treatment”), foot treatments, pedicure and manicure to facial treatments. Moc Huong Spa branches are the ideal places to relax after a long of stressful day, especially the ones who are busy or play sports to take a break. Energy rehabilitating and refueling are the main are the main objectives for Moc Huong Spa, performing with massage therapies techniques derived from power nations namely the USA, Japan, Sweden, Thailand, India, and combined with Vietnamese traditional medicine. Offering convenience to access all locations, reasonable prices and experience staff are able to provide quality and relaxing treatments for facials, body, and for complete well-being. Add: 9C Ton Duc Thang street, Ben Nghe Ward, District 1, HCMC. L’Apothiquaire flagship venue is tucked away at the end of a tranquil free-lined path, a sanctuary of scents, natural healing and relaxation. Entering the ground, you are immediately enveloped in the sense of serenity offered by a lovingly restored French villa with a charming tropical garden with water fountains, warmly-lit chandeliers, plush chairs and velvet curtains. It is about relaxation and aesthetics. This spa offers a wide selection of services including wonderful and body care treatments which use natural, organic products. Its Haute Couture packages are not only to pamper but also to provide tangible therapeutic benefits to soothe the mind and body. 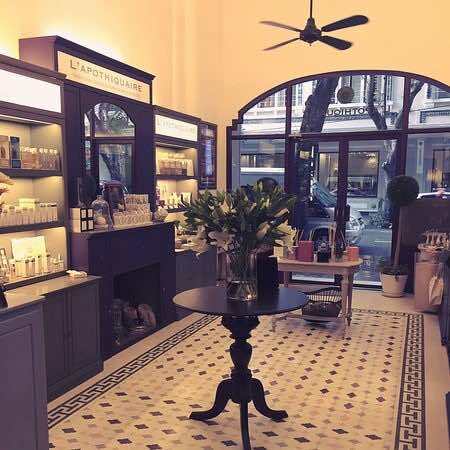 A visit to L’Apothiquaire starts with an in-depth skin analysis by one of our experienced beauty consultants who will design a specific treatment to suit your individual needs. Your skin is noticeably transform after just one treatment. Add: 41 Dong Khoi, Ben Nghe Ward, District 1, HCMC. We hope that you will have a great relaxed moment in these spas mentioned above after a hustle and bustle day.